The Wolgan valley is ancient and you’ll marvel at the breathtaking scenery once on the valley floor. You’ll pass the Emirates Wolgan Valley Resort and learn about the history before it was a resort. You can visit the old mining relics in the area. This is a comfortable day trip. 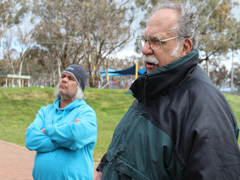 A mutually respected collaboration between Wahluu Cultural Tours with Bathurst Tours and with the permission of Wiradyuri Traditional Owners Central West Aboriginal Corporation, has allowed the creation of a series of educational Aboriginal cultural tours. These highly significant educational and cultural tours are for the benefit of everyone to enjoy. In collaborating to offer these important cultural tours, I would like to acknowledge the Wiradjuri who are the traditional owners and custodians of the lands on which we travel. I pay respect to their Elders both past and present. To educate, promote, build and preserve the cultural significance of the Wiradyuri people. The Wiradyuri people are the people of the three rivers – the Wambool (Macquarie), the Galari (Calari) and the Murrumbidgee. They have lived in these lands and along these rivers for more than 40,000 years. The Wiradjuri are identified as a coherent group as they maintained a cycle of ceremonies that moved in a ring around the whole tribal area. This cycle led to tribal coherence despite the large occupied area. 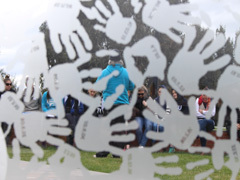 It is estimated that 12,000 people spoke the Wiradjuri language prior to white settlement. The Bathurst Wiradyuri are the most easterly grouping of the Wiradyuri nation. Their totem is the goanna. The Wiradyuri fished from canoes, and hunted with spears and nets for duck, kangaroo, goannas, snakes, lizards, emus, possums, wallabies and waterfowl. 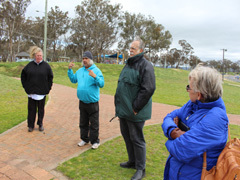 Bathurst & District One Day Tours, Detour Adventures and BathustTours.com.au in conjunction with the Wiradyuri Elders of the Bathurst region are proud to offer personalised local Aboriginal-led tours of the local Wiradyuri lands. All tours are specifically created to allow you to learn, respect and preserve the cultural significance of the Wiradyuri people of this area. As such, no two tours are identical. You will learn something new on every organised tour and you are able to request a specific tour to suit your particular need for learning. We can provide cultural tours for solo travellers, couples, University students, school groups and special interest groups of up to 20 people who are willing to learn about the Wiradjuri from the Aboriginal Elders of the local Wiradyuri people.
" 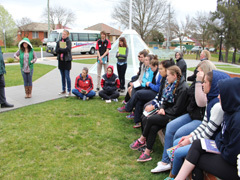 Feedback from staff and students to our 2016 cultural engagement activities organised and run by Bathurst Tours and Detour Tours was very positive. The insight into local cultural history, knowledge and practices told through the voices of local Aboriginal Elders was a moving experience. 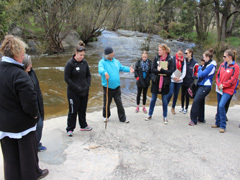 The cultural immersion experiences on country have enabled staff and students to embed new knowledge and understanding into their teaching and learning experiences. I would like to commend Ian Redpath from Detour Tours as we found him to be an exceptional tour operator. His attention to detail from planning through to execution enabled the tour to run smoothly. I would strongly recommend such tours to learn about local history as they provide valuable insight into other perspectives that have remained untold. Warm regards Maria (CSU Dubbo) ." "A tour with Ian was a special experience. 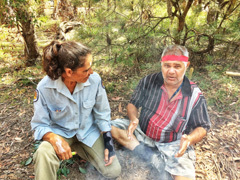 The drive, organisation, provision of food and toilet stops was just perfect to allow us ample time to learn from the local Aboriginal Elder about so many rich and important past histories and present perspectives. The day is recommended to others and needs to be promoted to others. "I loved the cultural tour it was informative and fun, the elders who travelled with us in the bus and hosted us at the different sites were friendly, approachable and so willing and generously shared their own cultural stories of the local land how the indigenous people used, celebrated and revered it as part of their culture in the past. It was interesting and fascinating and helped me understand more about the local land forms and their significance for indigenous people." "The different sites we visited were most interesting and their stories were not something I would ever have been aware of if I hadn’t have had the opportunity for this tour. I would highly recommend this tour for anyone. Tours are designed to suit varying time frames, budgets, time of the year, cultural sensitivity and the availability of Wiradyuri Elders to guide. Please contact us to discuss your needs. 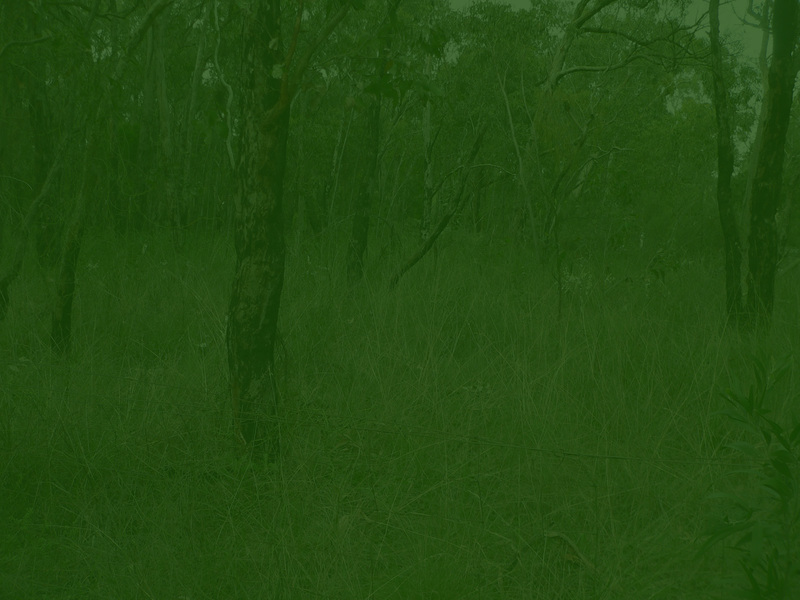 We will listen and provide an accurate price for you and your group after consulting with the Wiradjuri Elders. Some tours can include morning tea and/or lunch. All tours include air conditioned transport to the various culturally significant cultural sites, complimentary chilled bottled water and a personal guided tour led by one or more of the Wiradyuri Elders of this area.